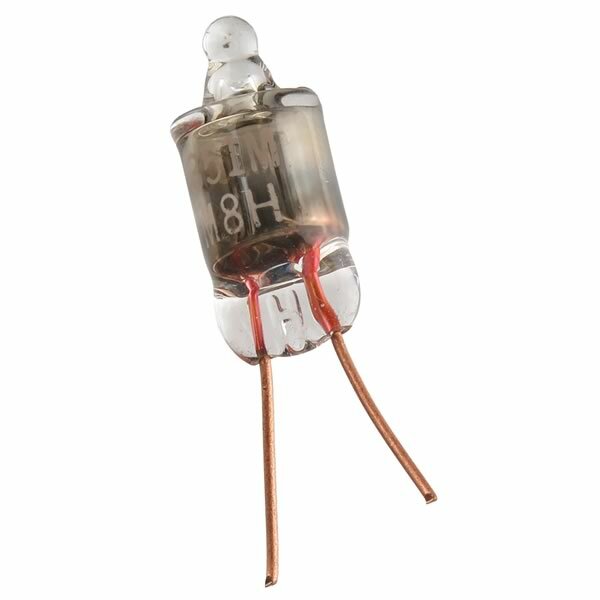 Small neon lamp, type M8H measures about 0.24" diameter x 0.52" tall. Blackened glass case is a part of the manufacturing process. Has 2 copper leads. Marked "351M M8H". Note: This neon operates on higher voltage than 120V, however we are not sure about what voltage it operates on. Sold in a package of 10.